SJ: The title also implies the apostles can be found, or at least understood better by members in all branches of Mormonism right? WS: The Lost Apostles will only be understood by objective people who are not conditioned to reject implied or real criticism of Joseph Smith and the Church he established. Open-minded readers will appreciate these Apostles for their dedication, sacrifices, triumphs and tragedies at a time the Church was fluid and struggling to work out its destiny. 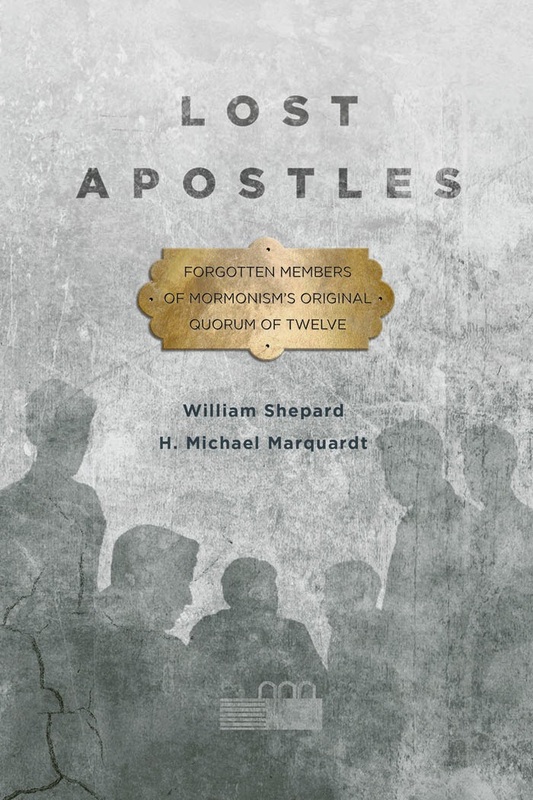 SJ: In the insert that came with my copy of the book, you talk about how the original Twelve Apostles, especially those the book focuses on, struggled with Smith's humanity and how it conflicted with their own sense of morality and commitment to the church. Would you say history is repeating itself as some members of the church struggle with the Utah church's stances on social and gender issues? WS: I am not sure if these members' struggles are similar to the struggles of the Lost Apostles. Our Lost Apostles generally resented the system changing and their not knowing how to cope. It seems to me, some Mormons are attempting to make an established Church liberalize and do not know how to cope with what they perceive as intransience. SJ: I'm not a serious student of history, but Christ's original twelve apostles didn't seem to experience the same level of conflict when compared to Joseph's twelve. Why is that you think? WS: I have thought about comparing Jesus' apostles getting along as contrasted to the Lost Apostles. Peter and Paul were conflicted to some extent. During Christ's ministry the Apostles were jockeying for position at the expense of their fellows. Paul and Barnabas split after some disagreement and D&C 64:8 says: "My disciples in days of old, sought occasion against one another and forgave not one another in their hearts; and for this evil they were afflicted and sorely chastened." We know so little about their lives after the resurrection I suspect it is impossible to answer this question. However, I am putting my money on there being a lot more conflict than the Bible tells us. SJ: Of the six who permanently lost their Apostleship, to whom do you feel most connected and why? WS: I think we favor Lyman but having said that, McLellin spreading destruction among each faction he joined makes one wonder why he was called to be an Apostle. Some will resent hearing about William Smith's personality and seeming sociopathic behaviors but they are as relevant as the story of Lyman seeing the plates of the Book of Mormon.